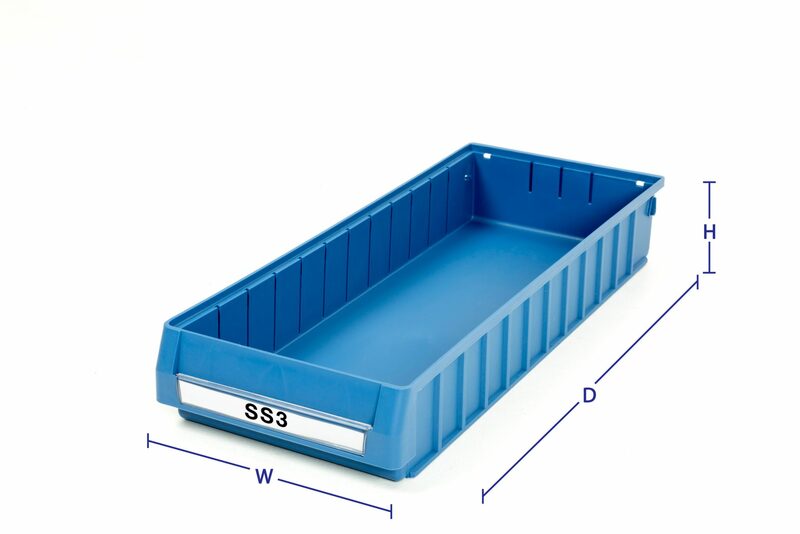 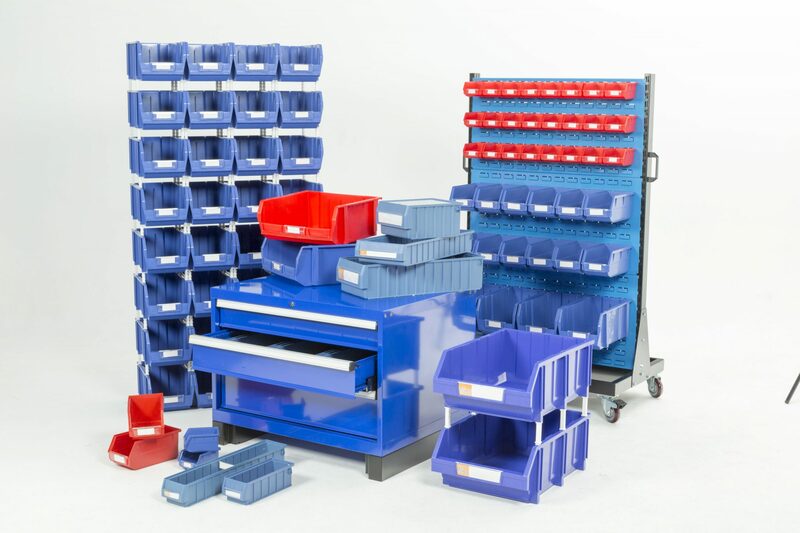 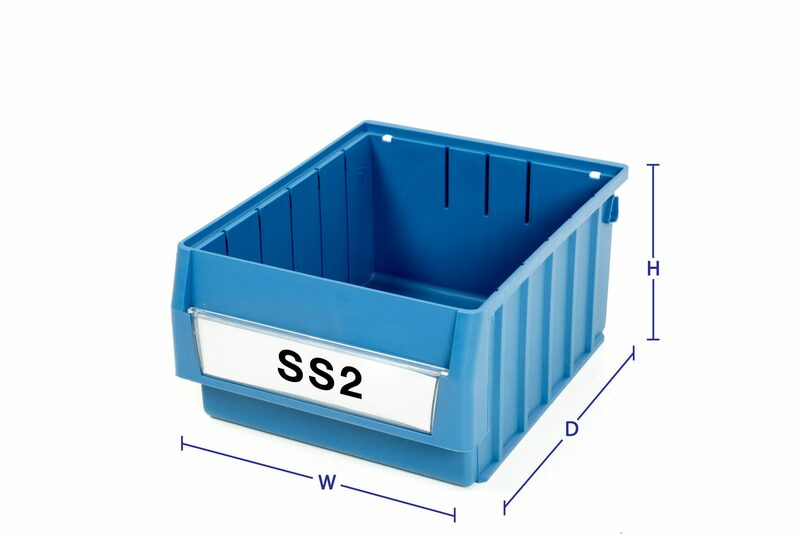 To complement our shelving range we offer a selection of plastic stacking bins, ideal for housing small parts. 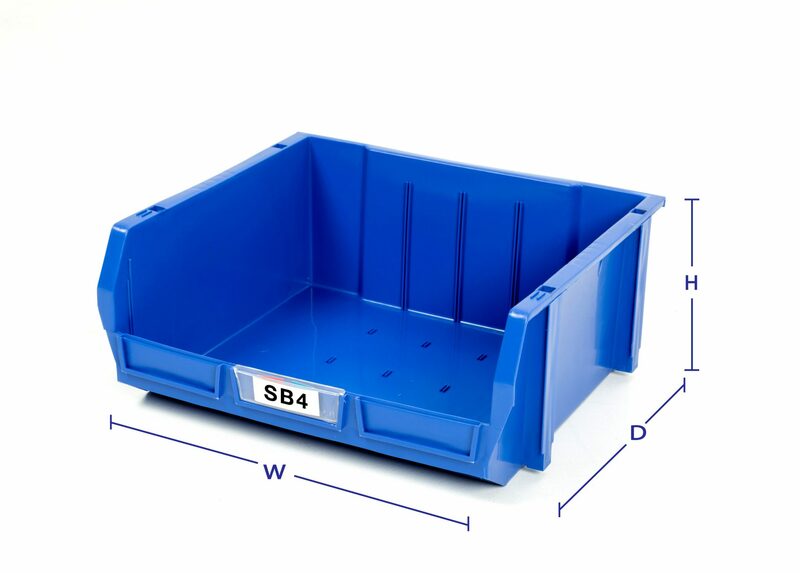 We offer four different sizes which can be purchased in combination to meet your particular storage needs. 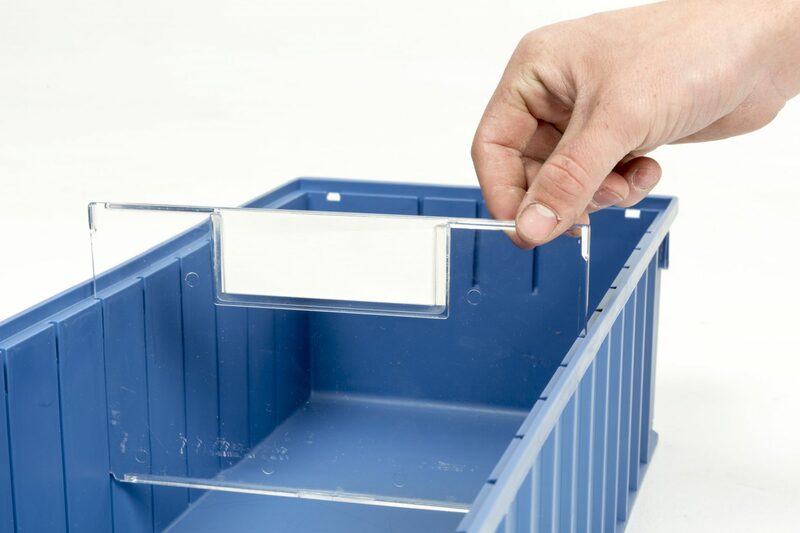 The two larger sizes are designed to be either clipped together in a stack or positioned on a shelf. 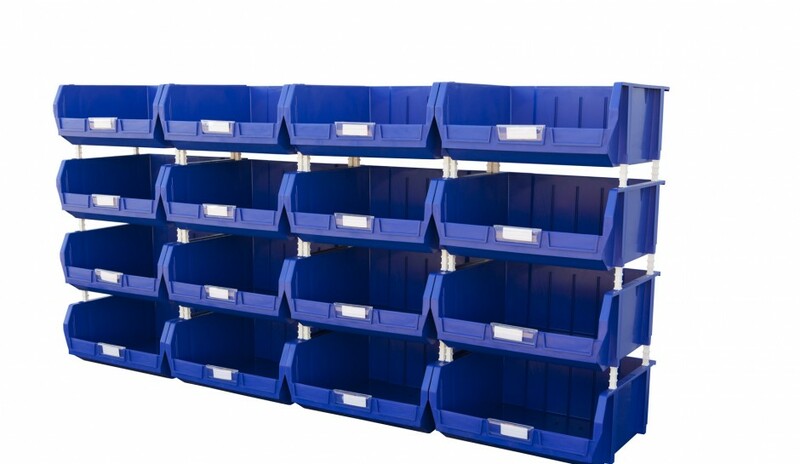 When positioned side-by-side they can be clipped together for further neatness and stability. 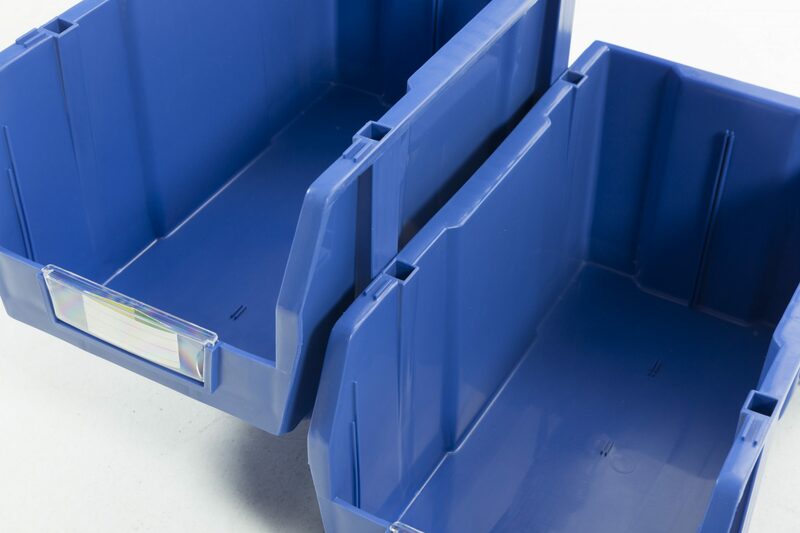 The two smaller bins are designed to hang off the louvre panel which is screwed to the wall. 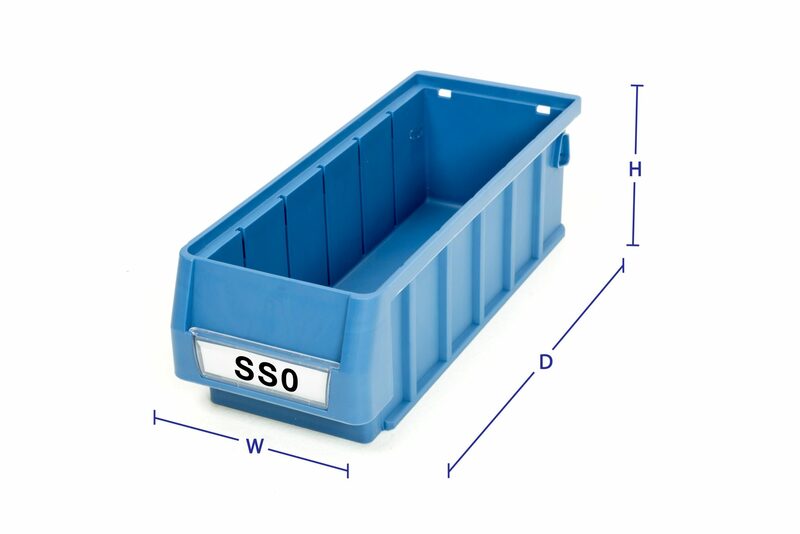 Larger bins can also be used on the louvre panel if required. 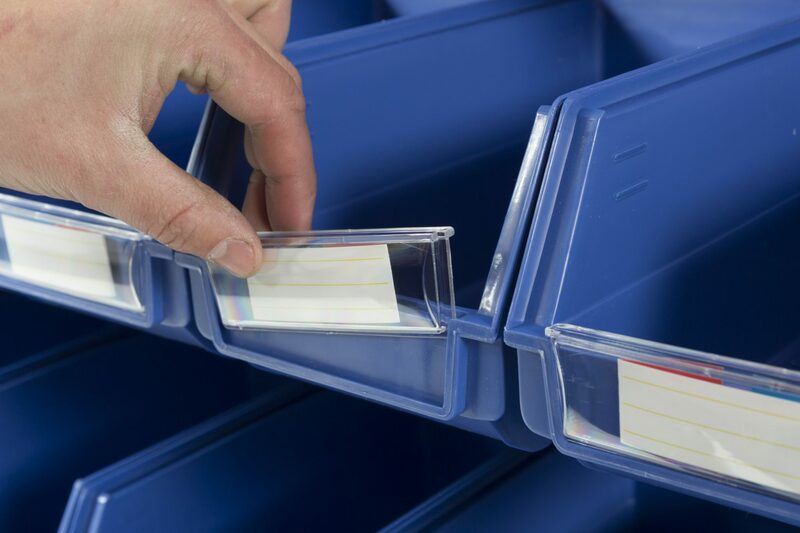 Both bin sizes come with removeable PVC label holders which simply clip into place. 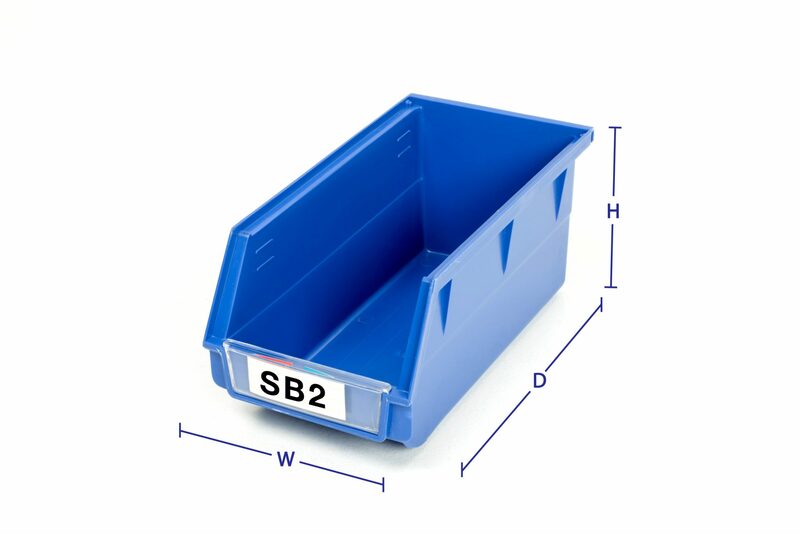 We also offer bin systems for work vans where bins are mounted on a light steel frame which sits in the back of the van. 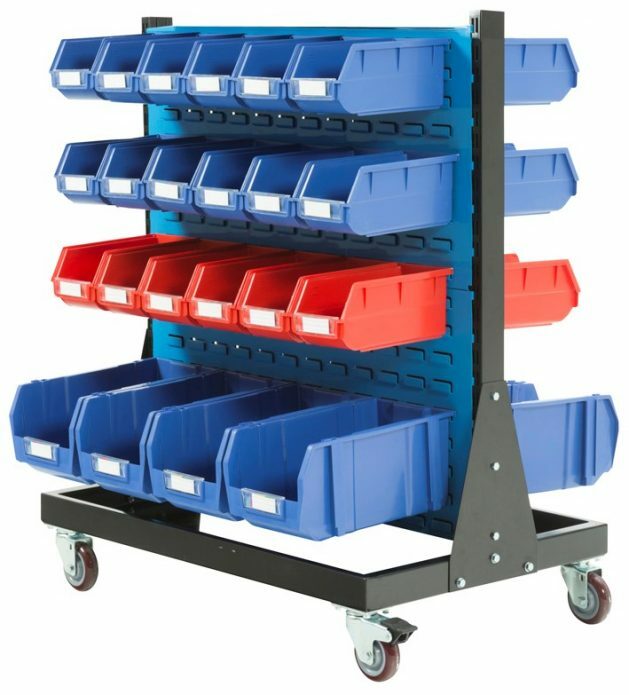 This helps to ensure that all parts and equipment are neatly stored and contained during travel to and from job destinations.